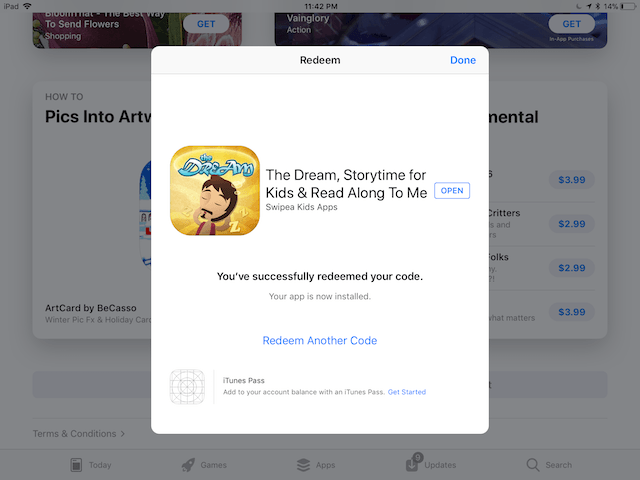 The process of redeeming an iOS promo code for paid apps is very straightforward. The entire process happens in the iOS App Store app. 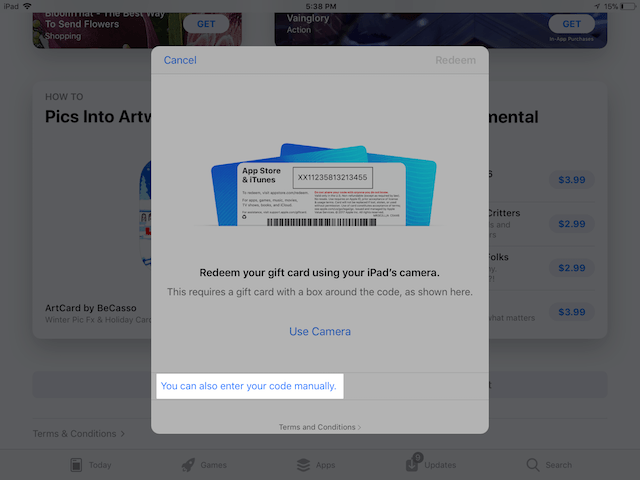 Step 2: Enter your iOS promo code. You might be asked to enter the password for your Apple ID, please do so. Step 3: This is what you will see on your device when the promo code is successfully redeemed. The app will begin to download automatically. Once the install is complete, tap on the "Open" button to launch the app. Congrats! The app is now running on your iOS device! 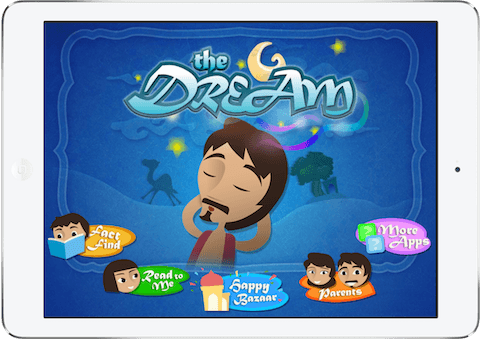 We hope your family will benefit greatly from our educational apps. Please write a review and we would really appreciate a 5-star rating!